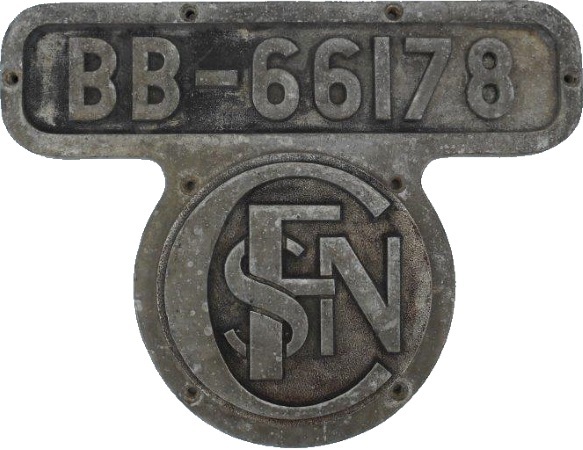 Lot 67 Alloy SNCF Locomotive Numberplate "BB 66178" Incorporating the Company Logo. Size 22" x 17". As removed condition.